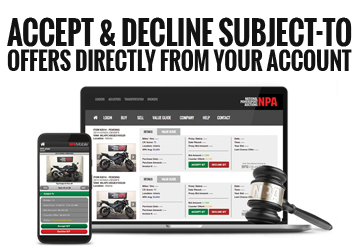 All NPA AVP™ amounts are subject to approval and based on conservative auction values. 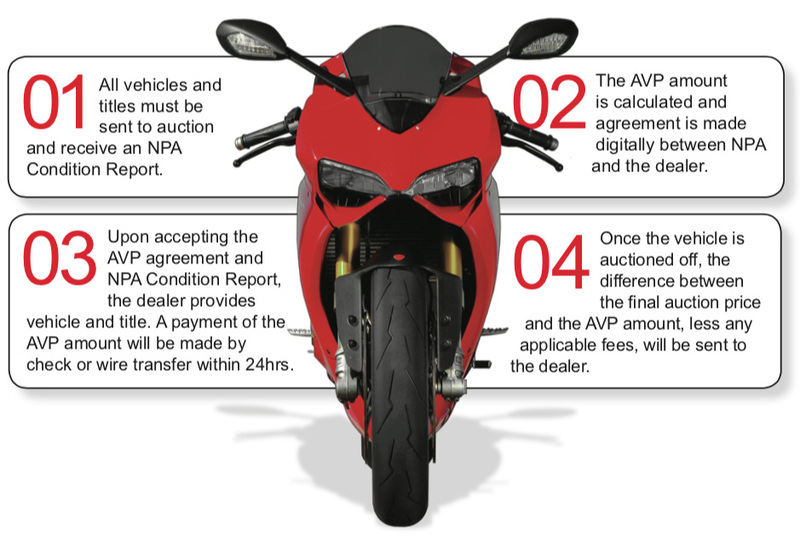 A 1.9% fee will be charged based upon the NPA AVP™ amount in addition to any applicable auction fees. All vehicle(s) must have clean titles with no odometer issues, lemon law, or other deficient title brands. Vehicles must sell within 60 days. If unit has not sold within 60 days the dealer can take the unit(s) back upon payment of the NPA AVP™ amount and the 1.9% fee or pay the 1.9% fee and rerun the unit(s) for another 60 days if agreed upon by NPA.